- [Anon. ], 'Editorial' [+ image (by Wyndham Lewis? )], 1-2. - Andrzej Gąsiorek, '"The Cave-Men of the New Mental Wilderness": Wyndham Lewis and the Self in Modernity', 3-20. - Andrew Causey, 'Mediated Modernity', Review of David Peters Corbett, The Modernity of English Art, 1914-1930 (1997), 35-41. - Dennis Brown, 'THE HISTORY MAN COMETH', Review of Tyrus Miller, Late Modernism: Politics, Fiction, and the Arts Between the World Wars (1999) and Douglas Mao, Solid Objects: Modernism and the Test of Production (1998), 42-6. Ian Patterson, Review of David Peters Corbett (ed. 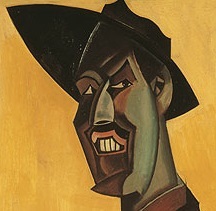 ), Wyndham Lewis and the Art of Modern War (1998), 47-9. Robin Holt, Review of Philip Head, Some Enemy Fight-Talk (1999), 49-50. - Graham Lane, 'Bibliographical Notes for 1996 and 1978', 51-64.